What's in Ontario Budget 2019 for Indigenous Governments and Northern Ontario? 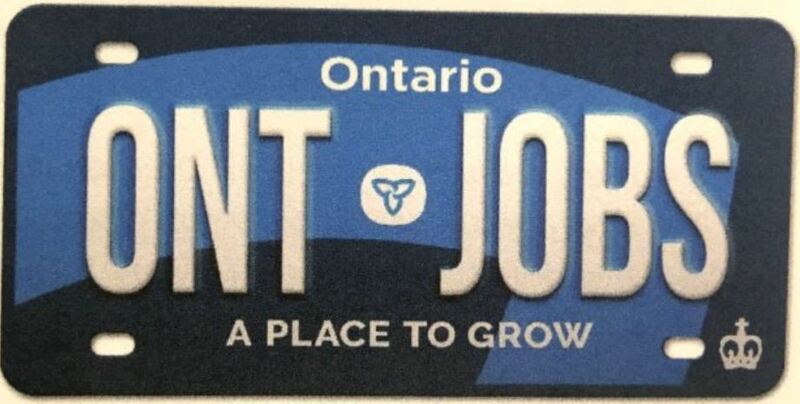 We've studied the Ontario Budget 2019 and reviewed several pundit pronouncements. Here's our take on what may be important to our Indigenous government clients and Northern Ontario. 9.2% cut to the Ministry of Indigenous Affair vs. 2018/19. Despite the early fearful pronouncements in the media and elsewhere on Budget day of a 50% cut to the Ministry of Indigenous Affairs, if you take out the previous year budget dollars for one-time land claim settlements, the actual cut to the Ministry's operating dollars amounts to about 9.2% vs the 2018/19 budget. But it's still a cut. There was silence in the Budget document on whether or not Ontario will continue funding for the "New Relationship Fund" (NRF). However, we understand from sources at the Ministry of Indigenous Affairs that the NRF will be extended, but with reductions. We expect that letters to Indigenous governments will be going out soon. According to a January 2019 Ontario media release, the NRF "supports consultation to ensure the voices of Indigenous people are included in economic development initiatives." The NRF has for many years provided core funding for Indigenous governments to hire staff who can engage with proponents and the Crown on "duty to consult and accommodate" matters related to major resource extraction and infrastructure project proposals. The NRF has the goals of providing "core consultation capacity funding to help First Nations and Métis communities consult and engage with governments and the private sector on land and resource matters, and support projects that build the capacity of First Nations, Métis communities and Indigenous organizations to work with government and participate in economic development activities through 'enhanced capacity funding'." The Indigenous Economic Development Fund (IEDF): $10 million - according to Ontario, the IEDF provides grants and financing to Aboriginal businesses and Indigenous communities and organizations. The fund helps promote economic development and improve socio-economic outcomes for Indigenous people. The Indigenous Community Capital Grants Program (ICCGP): $3 million. The ICCGP funds the development of community capital projects that contribute to a sustainable social base and support economic participation in Indigenous communities, both on and off reserve. Ontario sharing 45 per cent of annual revenue from forestry stumpage with the First Nations. Ontario sharing 40 per cent of the annual mining tax and royalties from mines active at the time the agreements were signed and 45 per cent from future mines in the territories covered by the agreements. Ontario says it will continue to explore options to advance resource revenue sharing opportunities with other Indigenous partners and Northern communities, including in the mining, forestry and aggregates sectors. The addition of the aggregate sector appears to be a new commitment. However, Minister for Northern Development and Mines Greg Rickford says in a CBC report that details will not likely be released until 2020 and possibly not until that year's fall economic statement. "These aren't set up in haste. They've got to be done right," Rickford says. "We want a model that will serve all communities, but importantly deliver on a promise to ensure that northern communities, both municipalities and Indigenous communities, not currently covered under a resource revenue sharing agreement, start to capture resources from what we contribute to the Ontario economy." Staying the course on the Ring of Fire. Don't look for anyone driving bulldozers to the Ring of Fire just yet as the Budget contains no new capital commitments for a transportation corridor to the Ring of Fire. However, the Budget continues to support land use planning and environmental assessment processes being undertaken by First Nation communities to advance all-season community roads and access roads that could in future be part of a transportation corridor to the Ring of Fire. The Matawa Chiefs Council is opposed to any unilateral legislative change that will have an impact on the Inherent Aboriginal and Treaty Rights of Matawa First Nations protected and affirmed under Section 35 of the Constitution Act, 1982; that includes repealing the Far North Act, 2010 and proposed amendments process for the Public Lands Act, 1990 as the basis of Land Use Planning and implementation of our Inherent Aboriginal and Treaty Rights. The Matawa Chiefs Council reject the Ontario government’s proposal to repeal the Far North Act, 2010. The proposal will have a high level of impact on the Inherent Aboriginal and Treaty Rights of Matawa First Nations and our members, and a permanent impact on our future generations. The proposal will place the lands of James Bay Treaty #9 under the control of the Public Lands Act, 1990 which is a significant piece of legislation that will enable other unmentioned land related legislation, regulations and policies. The Public Lands Act, 1990 does not recognize the Inherent Aboriginal and Treaty Rights of any First Nations in Ontario. The Public Lands Act, 1990 was never intended to be applied in a fair, meaningful manner to First Nations. The Ontario proposal to transfer existing, or yet to be completed, land use plans from the Far North Act to an ‘amended’ Public Lands Act that will have ‘substantially the same effect as under the Far North Act’ is not sufficient to address First Nations concerns. Land Use Planning in Ontario requires the participation and joint-decision making between First Nations and Ontario. The Matawa Chiefs Council require that Ontario abandon its approach to the Far North and unilateral imposition of legislation that impacts the Inherent Aboriginal and Treaty Rights of Matawa First Nations and our members. The James Bay Treaty #9 is an agreement to share land and economic benefits. A government-to-government, nation-to-nation relationship will require equal decision making and revenue sharing positions for First Nations and Ontario. Ontario is establishing a "Mining Working Group" with the goals of "cutting regulatory red tape" and attracting more mining investment to Ontario. As long as the price of gold remains at current levels or higher, and proponents employ wise practices for Indigenous participation in project planning and sound Impact Benefit Agreements, investment in gold exploration and gold mining projects is likely to happen with our without the "Mining Working Group." Ontario says it "aspires to increase wood supply and will help unleash the potential of Ontario’s forest industry, creating conditions for the industry to innovate, attract investment, and create jobs and prosperity for the North and for all communities that depend on this sector." Methods to further promote made‐in‐Ontario wood products. Ontario says it will be moving forward to modernize "environmental assessments, while creating a more business friendly environment that would encourage development. This includes modernizing Ontario’s Environmental Assessment Act, "which mandates an extensive consultation process and consideration of environmental protections and conservation for virtually all public sector projects regardless of environmental impact." We'll be paying close attention to future announcements and engagement opportunities around this item. Wataynikaneyap Power Project support continues. In 2018, the federal government announced that it would provide, in two tranches, $1.6 billion in funding for the Wataynikaneyap Power project, subject to entering into definitive agreements. Under the proposed financing structure, the Province would provide interim financing of over $1.3 billion in order to facilitate the project. In December 2018, Pikangikum First Nation became the first of these communities to be connected to the grid. In July 2016, the Province designated Wataynikaneyap Power to connect 16 remote First Nation communities to the provincial grid. The project would provide these communities with a reliable supply of electricity and support long‐term economic opportunities. East-West Tie moves ahead - with or without Budget support. Ontario makes no new funding commitments here, but reiterates information on previous decisions and benefits. In January, as directed by the Province, the OEB designated NextBridge Infrastructure (NextBridge) as the transmitter to build the 450‐kilometre transmission line from Thunder Bay to Wawa. The OEB subsequently granted leave to construct the line. Ontario says the transmission line project will support job creation, enhance reliability, improve the flow of cheaper and lower‐emission energy, and add the capacity needed for major regional development projects like the Wataynikaneyap Power Project and the Ring of Fire. With the support of the Ontario government, NextBridge has trained over 300 Indigenous community members for project‐related jobs. With the support of First Nation and Métis partners, the project is expected to create local employment for over 200 Indigenous people and deliver over $200 million in economic benefits for First Nation communities. The Budget includes mention of a plan to extend natural gas service to as many as 78 northern communities, including First Nations. This is made possible through the recently passed Access to Natural Gas Act which enables natural gas distributors to invest in capital expansion projects. the program is based on a "universal service" style program where all ratepayers would contribute a nominal amount on their bills to enable fiscally responsible expansion projects. Our firm provided regulatory guidance for this form of program to the Ontario Energy Board in support of Anwaatin in its efforts to address Indigenous energy poverty - the program mitigates or reduces the costs of natural gas infrastructure expansion paid by newly-connected natural gas customers and subsidizes these costs across the natural gas rate base. The proposed program would be designed to ensure that it recovers as closely as possible only the minimum costs necessary to make expansion projects economically viable. Highway 69 between Parry Sound and Sudbury still needs funding for the final four-laning of the last 68 kilometres. Four-laning has been in progress since the mid-2000s. The Budget contains a $315-million investment in critical broadband and cellular infrastructure over the next five years. Ontario is pausing capital funding for high‐speed rail in the 2019 Ontario Budget and is actively exploring opportunities to enhance the train speeds and service levels on existing railway corridors, as well as opportunities for inter‐community bus services or other transit solutions that better support the immediate needs of Southwestern Ontario. The Province will bring forward a transportation plan for Southwestern Ontario by fall 2019. Planning will include looking at options for improvements to existing rail corridors in collaboration with private‐sector partners to optimize passenger and freight rail. As well, it will include improvements to the highway network and inter‐community bus services. As part of this work, the Province will consult with affected municipalities and Indigenous communities. Rehabilitating 401 westbound core‐collector lanes between Neilson Road and Wilson Avenue in Toronto, and eastbound core‐collector lanes between Neilson Road in Toronto and Whites Road in Pickering. First Nations, Métis and Inuit studies curriculum / Indigenous Graduation Coach Program. Ontario says it is committed to improving Indigenous student retention and graduation rates by investing an additional $3.7 million in 2019–20 to fund a revised First Nations, Métis and Inuit studies curriculum for Grades 9‐12 and the Indigenous Graduation Coach Program in targeted district school boards across the province. Ontario says Indigenous graduation coaches have deeply rooted experiential ties to the Indigenous communities and their cultures, act as mentors and advisors to students, and facilitate access and referrals to academic supports and community resources to promote Indigenous student wellness and academic achievement. The two funding streams highlight what Ontario says is "the importance of the North’s Indigenous population to the region’s economy and the issue of skills shortages in areas such as the skilled trades, respectively." Ontario says it is committed to investing $3.8 billion for mental health, addictions and housing supports over 10 years, beginning with building a mental health and addictions system focused on core services embedded in a stepped‐care model, and a robust data and measurement framework. Investments of $174 million in 2019–20 will support community mental health and addictions services, mental health and justice services, supportive housing, and acute mental health inpatient beds. Services will also target priority populations, such as Indigenous peoples and Francophones. Ontario recognizes that Climate Change means more frequent severe weather events and flooding. To understand these impacts on people, communities, the natural environment and economies, Ontario says it will "assess the best science and information to better understand where the province is vulnerable and understand which regions and economic sectors are more likely to be impacted." There is no clear commitment in this assessment to including Indigenous knowledge. Ontario does say that this "enhanced understanding will enable the Province, local communities, businesses, Indigenous communities and the public to make planning and investment decisions that are better informed by the likely impacts of a changing climate." We are an Canadian B Corp, and we assist Indigenous communities with support throughout regulatory processes surrounding major development projects like mines, hydroelectric facilities, transmission lines, highway expansions, oil and gas pipelines, natural resource transport applications and nuclear power.